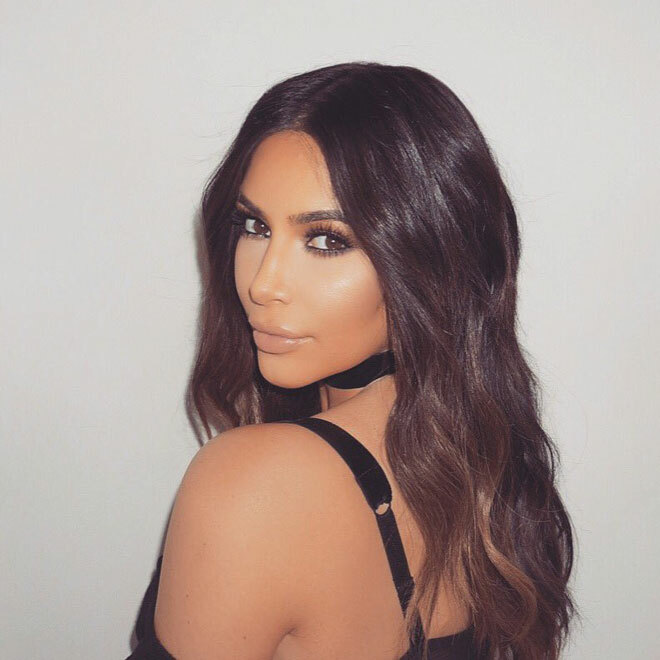 The Kardashians: What's in Kim's $50k handbag? Kim Kardashian West stuffs her $50,000 handbag with her daughter's cheesy snacks and a couple of boxes of raisins. The 'Keeping Up With the Kardashians' star, who is worth an estimated $85 million, doesn't like to carry a changing bag with her and prefers to ram everything she needs for little North, two, and Saint, three months, into her Hermès Birkin. Taking to her website KimKardashianWest.com last night (18.03.16), she said: "My Birkin carries all of my essentials. Find out exactly what I carry with me! Annie's Homegrown Cheddar Bunnies, $7, North loves these cheesy snacks!" She also pops in a few packets of Black Forest Gummy Bears because "they're another favourite snack." But her lavish tote isn't just limited to messy foods as the 35-year-old reality TV also likes to make sure she has a change of clothes for her children, whom she has with her husband Kanye West, a selection of nappies and a pot of wet wipes. 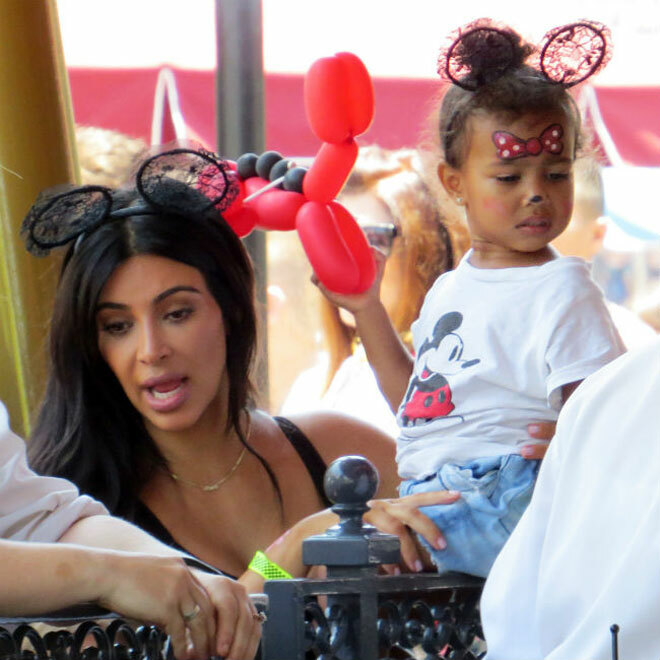 And, in order to keep little North entertained while they're travelling, Kim doesn't leave without her trusty iPad. Meanwhile, although Kim prefers to stash everything she needs into her Birkin bag, the starlet also carries a backpack with her when she travels in case she needs to downsize. She explained: "I always bring a little backpack, and throw a diaper and some snacks in there so I don't have to carry the bigger diaper bag all the time." Scott Disick is reportedly dating a 20-year-old model and she even joined him on a recent vacation in Mexico, according to Us Weekly. The 32-year-old reality TV star - who split from Kourtney Kardashian, the mother of his three children, last year - has been seeing the pretty brunette for weeks and she even joined him on a recent vacation in Mexico, according to Us Weekly. Christine is signed to Next Models LA. Meanwhile, Scott recently defended his trip to Mexico, where he was photographed surrounded by a bevy of beauties but insisted that he can do what he wants as he and Kourtney have not rekindled their romance. He said: "I was down there hanging out like any other single 32-year-old guy would be. "The truth is I just to live my life and I want to have a little happiness and a little balance. The truth is rehab did help me and now I'm just trying to be responsible. I'm not out here trying to get wasted, but you know what, I will have a beer on the beach. I'm not doing drugs, I'm not doing anything insane, so I think people just need to relax ... I just want to try to live my life." "I'm not sure I can stay home every single night at 32 years old and be sane. In the end, I'm trying to live my life. I'm trying to live it healthy. I'm trying to be there for the people I love, which is Kourtney and kids, but you know what, we're not together." Kylie Jenner has a giant mural of herself painted across two walls of her $2.7 million Calabasas mansion. The 18-year-old star has commissioned professional artist and tattooist Joshua Woods to create an enormous painting at her $2.7 million Calabasas mansion. 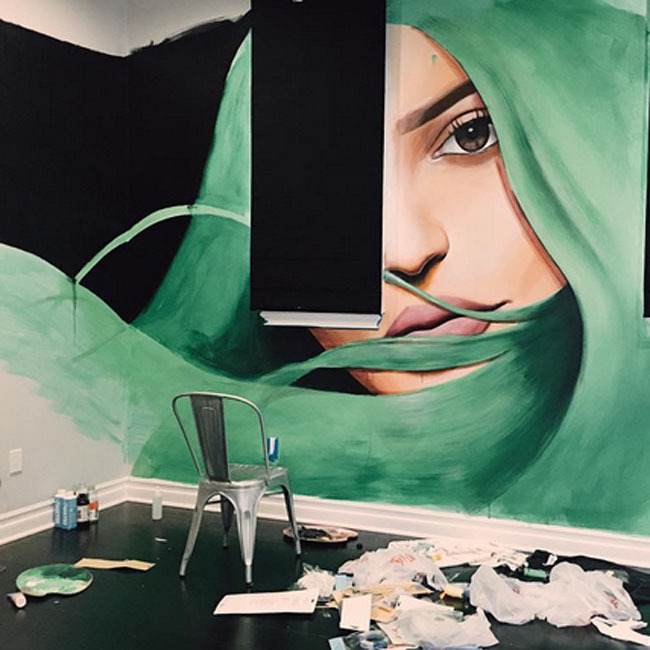 Kylie - the youngest member of the Kardashian/Jenner clan - has shared the incredible artwork of the close-up of her face with long green hair flowing over two walls on her Instagram account. She captioned the post: "@jwoodzart almost done! u guys have to check him out for tats if you're in the LA area. (sic)"
The 'Keeping Up with the Kardashians' beauty teased her 54.4 Instagram million followers with the incomplete painting, the latest post documenting the renovations going on at her home since January. Woods has been working on the mural for the past three weeks and has shared some snaps of his "first mural" on his own Instagram account. As well as sharing her mural, Kylie has also unveiled the first advert from her Puma sportswear range. The teen starlet - the younger sister of model Kendall Jenner - was unveiled as the brand ambassador of Puma's spring/summer campaign last month after they signed her to a deal worth a reputed $1 million.